After yesterday’s market close, open source computer software provider Red Hat Inc (NYSE:RHT) released fourth-quarter earnings data for fiscal year 2015. RHT reported solid figures for the quarter, beating analyst expectations as well as management’s guidance. Red Hat is up solidly today, but if you’re not yet in RHT stock, don’t worry. The party is far from over. Quarterly revenue of $464 million was up 16% year-over-year and beat both analyst expectations of $457 million and management’s guidance of $456 million-$459 million. More than 87% of RHT’s revenue came from subscriptions, and that $405 million portion was 15% higher than subscription revenue in Q4 2013. Net income for the quarter came in at $48 million, or 26 cents per share, up from 24 cents in the year-ago quarter. Full-year earnings also were up 2 cents, to 95 cents. Aside from solid revenue and earnings figures, RHT announced the approval of a $500 million stock repurchase plan, which will replace the $300 million plan that expired the same day. According to the company’s press release, RHT has repurchased more than $1 billion (19.5 million shares) over the past four years. All things considered, yesterday’s report simply reinforces the fact that Red Hat stock still is a solid buy — even after Thursday’s gains. The company’s open-source cloud infrastructure easily stands toe-to-toe with closed systems such as Amazon.com, Inc.’s (NASDAQ:AMZN) AWS and Microsoft Corporation’s (NASDAQ:MSFT) Azure platform. Despite RHT being only a fraction of the size of AMZN and MSFT, it’s got quite a bit going for it that should turn into industry-leading profit and growth this year. One of the most inspiring and exciting things about Red Hat has been the ongoing development and evolution of the OpenStack platform. OpenStack is free, open-source cloud computing technology that began in 2010, and has since become the focus of a global push for hybrid cloud capabilities that are customizable, scalable and — most importantly — secure. 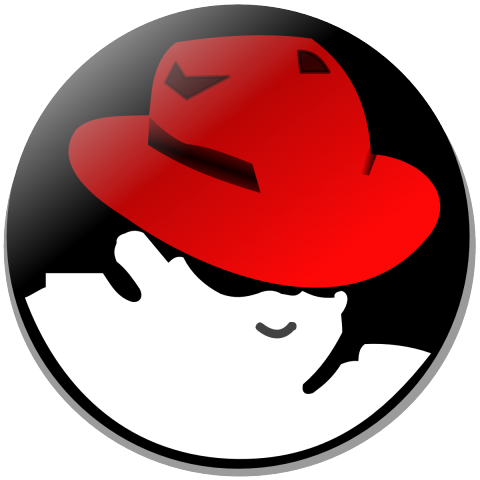 Red Hat’s involvement in the project and massive contributions to its evolution demonstrate core fundamentals that place a high value on furthering technology to benefit the entire world, even without direct compensation. For me, sharing important technological advancements that anyone can use — despite a lack of compensation — shows commendable qualities. The fact that RHT’s earnings and revenues have consistently been stable just validates my opinion that Red Hat has what it takes to survive in an increasingly cutthroat industry. RHT also is gaining ground on competitors by developing programs to assist businesses with their transition to cloud-based systems. Red Hat’s new Cloud Innovation Practice supports companies entering the cloud and, obviously, steers them toward RHT solutions. The support system would not have been possible without the acquisition of eNovance, an OpenStack cloud services provider acquired by Red Hat last year. Expertise at eNovance will also allow RHT to take larger steps forward in its innovation and development of the OpenStack platform, which will ultimately result in an even easier time gaining new customers and competing with cloud computing big dogs AMZN and MSFT. With continued focus on improving its suite of enterprise solutions and products, particularly in the cloud computing arena, Red Hat is poised to for another year of strong growth and net earnings. Existing partnerships with Cisco Systems, Inc. (NASDAQ:CSCO), Hewlett-Packard Company (NYSE:HPQ), International Business Machines Corp. (NYSE:IBM), Dell and Quru allow RHT to cooperate with other industry giants to integrate products and software that, together, provide top-quality IT solutions for big businesses. Red Hat’s president of products and technologies described RHT’s approach and use of open source processes. “The problems we need to solve today can’t be solved by one company,” he said. This methodology and cooperative mentality is responsible for making RHT the world’s open-source leader, and will continue as more partnerships are forged in the future. Utilizing its newly expanded team of cloud experts, Red Hat has the tools it needs to make big moves this year, and RHT stock holders are sure to be rewarded.